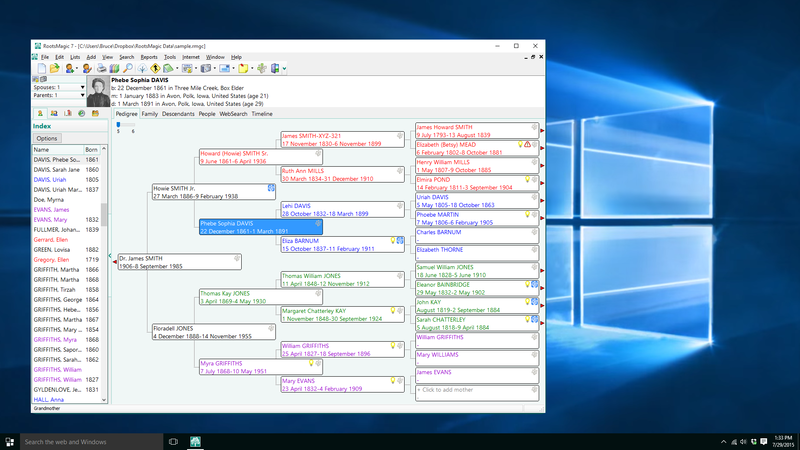 RootsMagic has proved itself as one of the world’s best known and loved genealogy software programs, having been around for over 10 years. Made for the PC, the team at RootsMagic have worked hard and users of Mac’s can also now use this amazing program. One of the features that makes RootsMagic so unique is the RootsMagic To-Go feature. 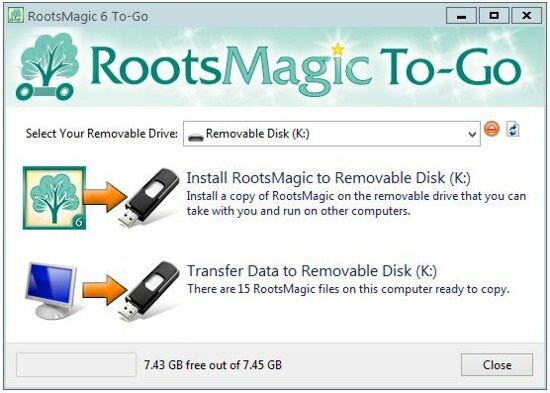 For those who are not familiar with what RootsMagic To-Go is, it is a feature that allows users use RootsMagic from a flashdrive. Yes, truly. You simply have the full program as well as your data file/s on a flashdrive, and can then plug it into any computer with a USB port, and use it from them without it installing on that computer. So when you go and visit your 3rd cousin, or great uncle and get some updated data. Use your RootsMagic To-Go by plugging your flashdrive into their computer. And when you get home, your files will be updated with those on your computer. Neat eh? Earlier this week we had a query from a user, who was having trouble working out how to get this function working. so I have found step-by-step instructions which you can work through. Or if you prefer to visually see how to do it, here is a video showing you how.